This really ought to be a link to her home page, but since she hasn't got one, I thought I might throw up a few (very old) photos. 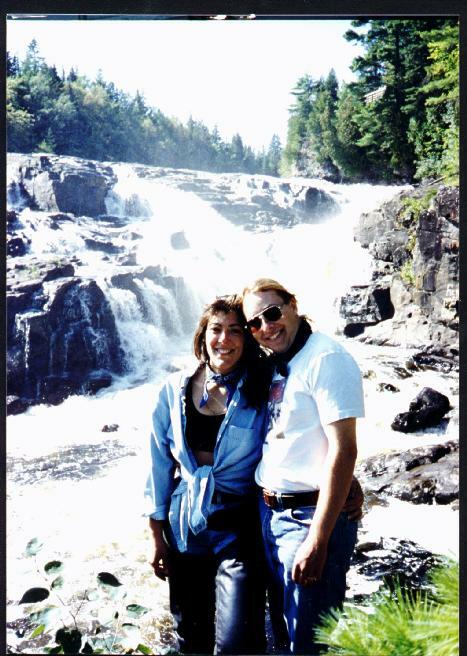 This is a photo of the two of us at the Parc des Sept Chutes, in Quebec, probably from the Canadian Assault 1.3. Probably. Thanks, Luc - you throw a great party! 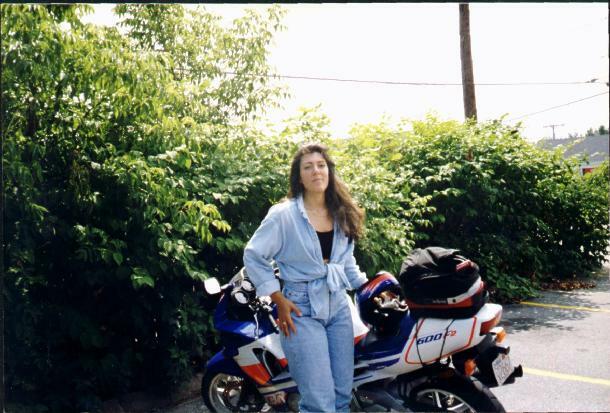 This is Caroline, outside Mel's restaurant in Natick (MA), with her CBR600F2. This one was taken before we were engaged. 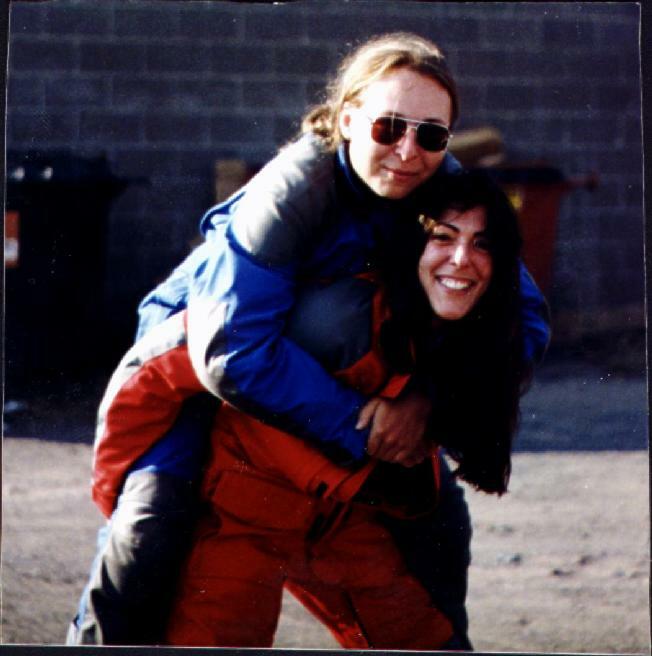 This is one of the two of us horsing around on the Grand Tour of 1994, when we picked up her aerostich from the factory in Duluth. They're a damn nice bunch up there at the 'stich factory, especially considering what they have to put up with by way of winter. I'll probably get around to adding a few more pictures. Later.